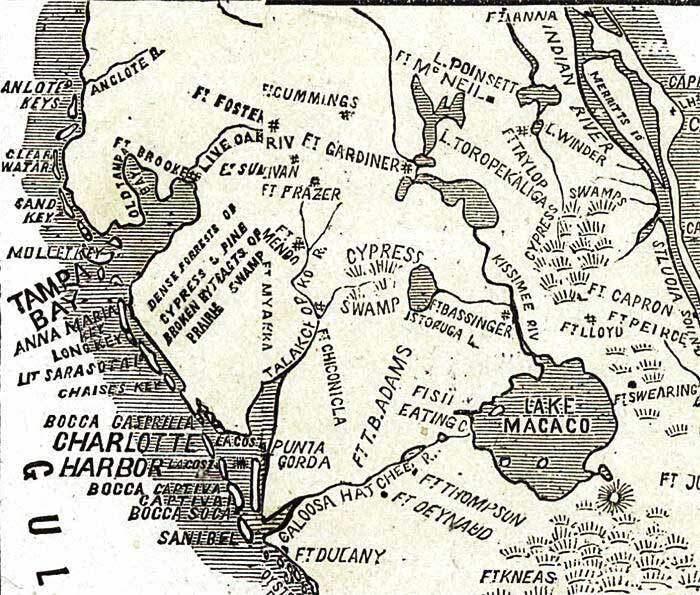 Description: This detail from Lloyd's 1865 map shows Union held territories in Florida's central peninsula. The territory gained from Rebels since January 1, 1862 is shown in yellow. Several Civil War era forts are shown. Lake Okeechobee is shown as Lake Macaco.